Penn outscored New Prairie 26-5 in the third quarter and stormed past the host Cougars, 68-44, Wednesday night in high school basketball action. 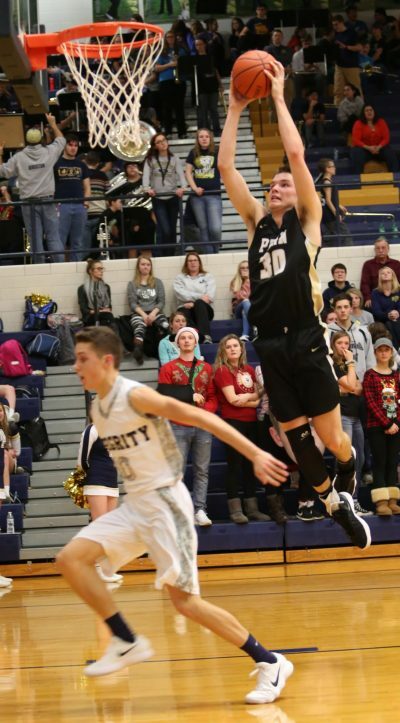 All-State candidate Noah Applegate led the Kingsmen with 26 points. Applegate, a 6-foot-6 Junior, averages 26 points a game for Penn. Kegan Hoskins scored 12 points for Penn, and Beau Ludwick scored 10. Noah Krathwohl scored eighth points.